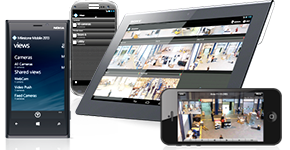 Make the security of your guests, hotel property and employees your highest priority by protecting your hotel, motel, resort, bed & breakfast, or other type of paid lodging with C&CC video surveillance solutions. A carefully considered system of security cameras and in-house monitoring can help secure your hotel or resort and give your guests the peace of mind they deserve. Security – Video surveillance can help prevent theft from your guests by helping you track your visitors and prevent break-ins on your property. Prevent theft – Prevent unwanted intruders from entering select hotel areas like swimming pools and workout facilities, where theft is common. Protect your store room and other maintenance areas from potential employee theft with a UTS system. Remain competitive – Along with providing security, a visible professional video surveillance system gives your guests peace of mind while staying at your hotel, and can help improve the chances of a return visit.